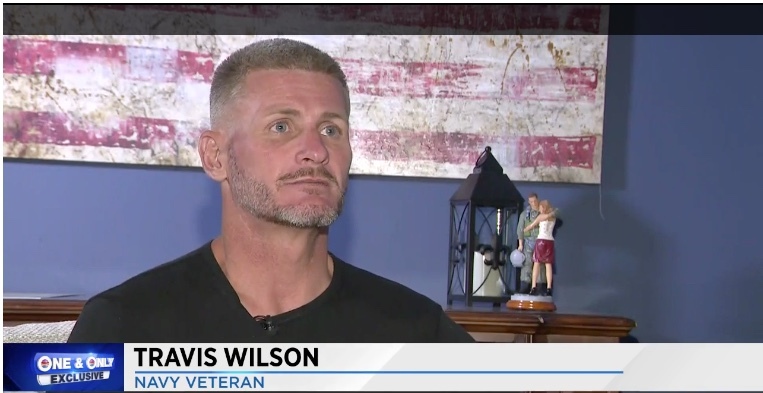 PEMBROKE PINES, Fla. - Navy veteran Travis Wilson's journey to this moment in life hasn't been easy one, but it sure is inspiring. "It’s been surreal and it's really been like a dream. I'm having to check myself to see if this is really going on," he said. A homeless veteran who made some mistakes but never forgot the Navy creed: always courageous. Last week, Wilson came to the rescue of a man involved in a car crash in Pembroke Pines and held up the driver's neck until help arrived. "I've had a speckled past that I brought on myself and it's not like people are always in line wanting to say 'Hey, we want you. We recognize that you're a good person,'" Wilson said. The act caught the eye of city leaders who on Tuesday met with Wilson and the folks at Operation Sacred Trust in hopes of finding him a home and a job.